The Giro di San Diego is a scenic gran fondo with solid climbing, leading from Solana Beach to the top of Palomar Mountain and back. After passing San Elijo Lagoon, the route follows Manchester Avenue, Rancho Santa Fe Road, and San Elijo Road over the hill into San Marcos. 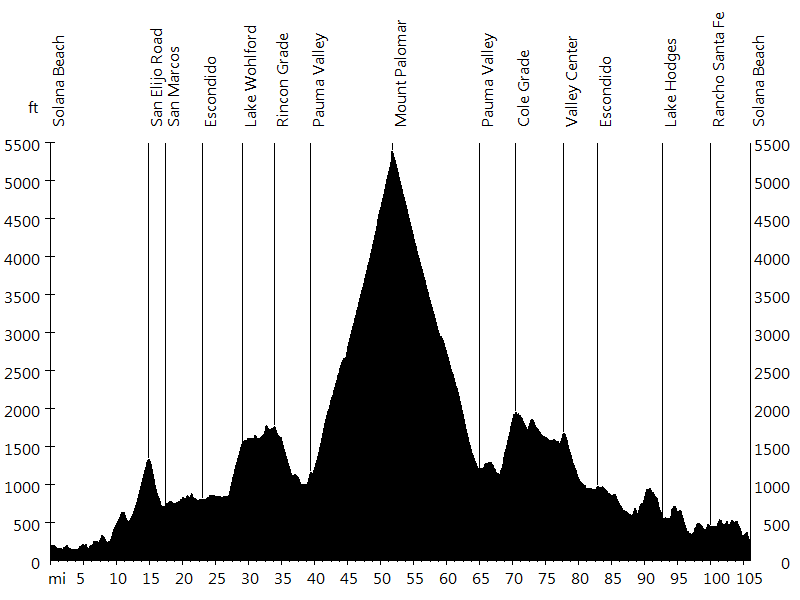 El Norte Parkway eventually leads into Escondido, and Lake Wohlford Road climbs out of Escondido. 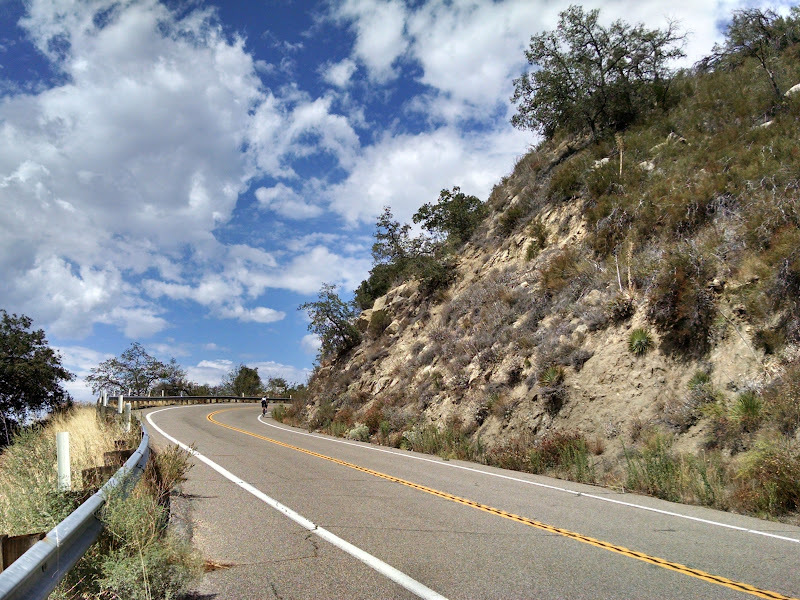 Valley Center Road continues down Rincon Grade passing the casino. Pauma Valley marks the start of the big climb. The first five miles are on Highway 76 and the second seven miles on South Grade Road (photos, photos). 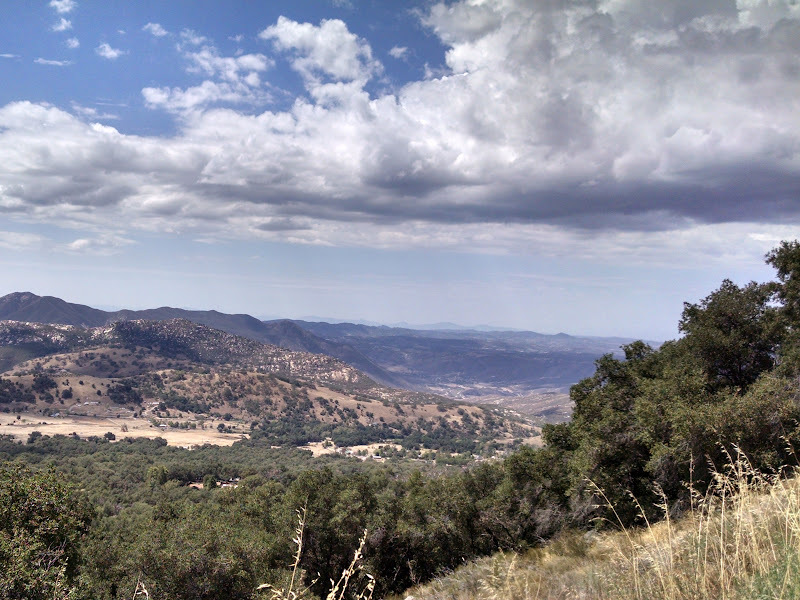 The top of Palomar Mountain is the farthest and highest point of the ride. The route back is different. 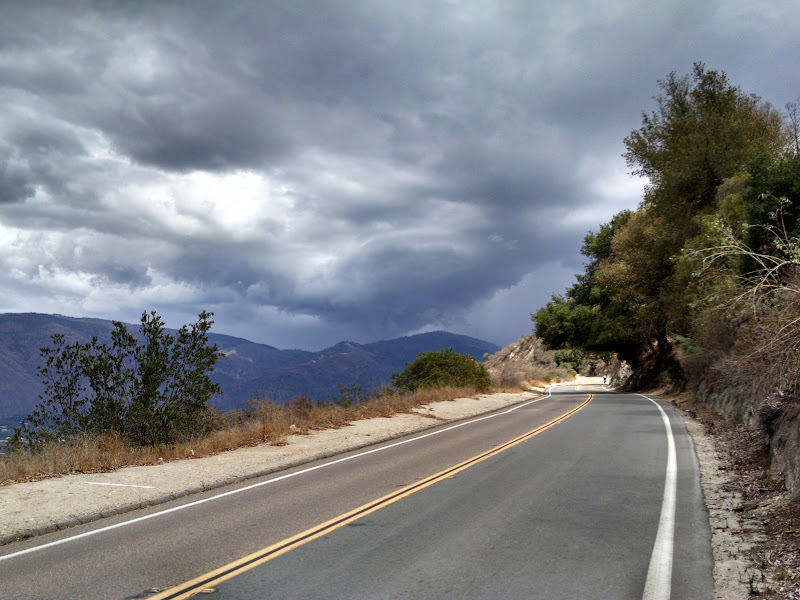 After an amazing descend, it follows Highway 76 to Cole Grade Road, a short but steep climb. Then Valley Center Road leads into Valley Center and down to Escondido. Bear Valley Parkway and Via Rancho Parkway continue on towards Lake Hodges. Del Dios Highway leads into Rancho Santa Fe, and Linea del Cielo, Camino de las Villas, and Lomas Santa Fe Drive back into Solana Beach. Jean C. and I signed up for this ride last minute. It was a brutal day, with temperatures up to 106 degrees. 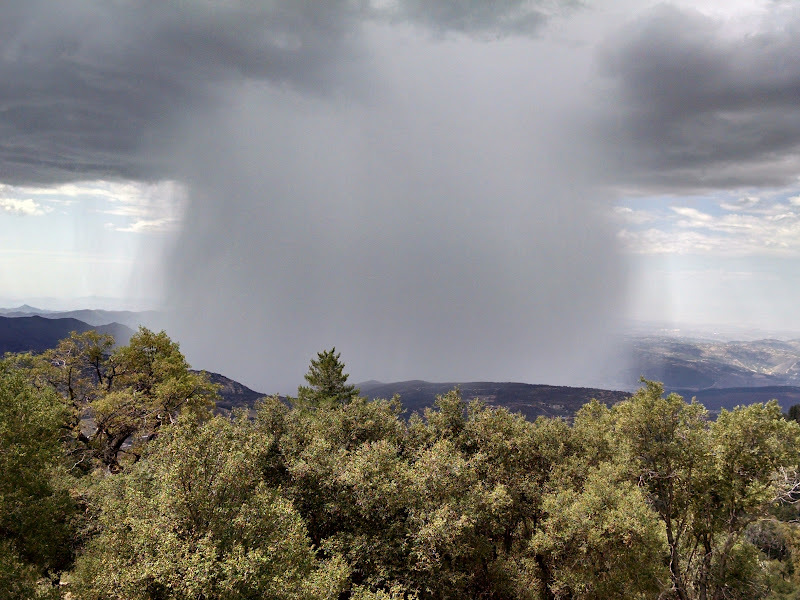 A thunderstorm at Palomar Mountain caused a flash flood at the bottom part of the descent. We ran into several people, including Jim P., Victor H., and the Mach 5 team. It was good seeing representation of The Life Ride at the exposition. 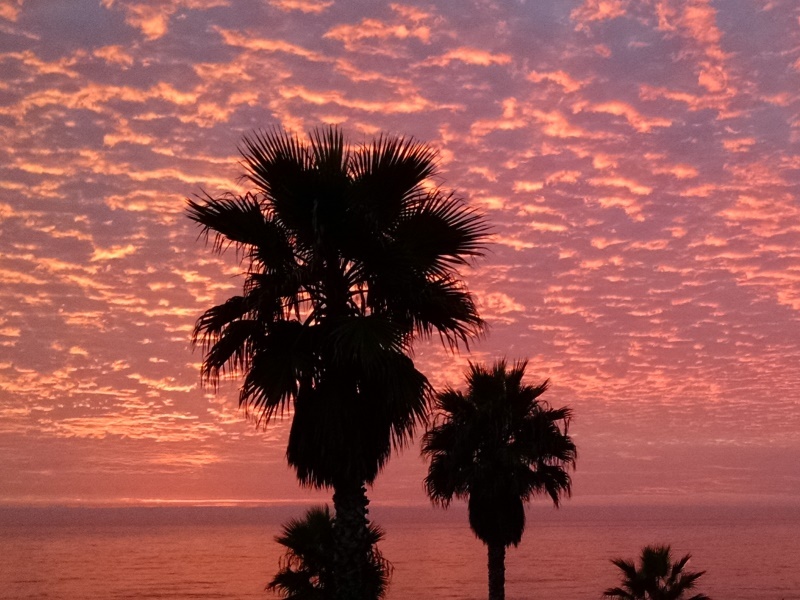 We hung out to cheer on a challenged athlete on a handcycle as he crossed the finish line, and got to watch a spectacular sunset.